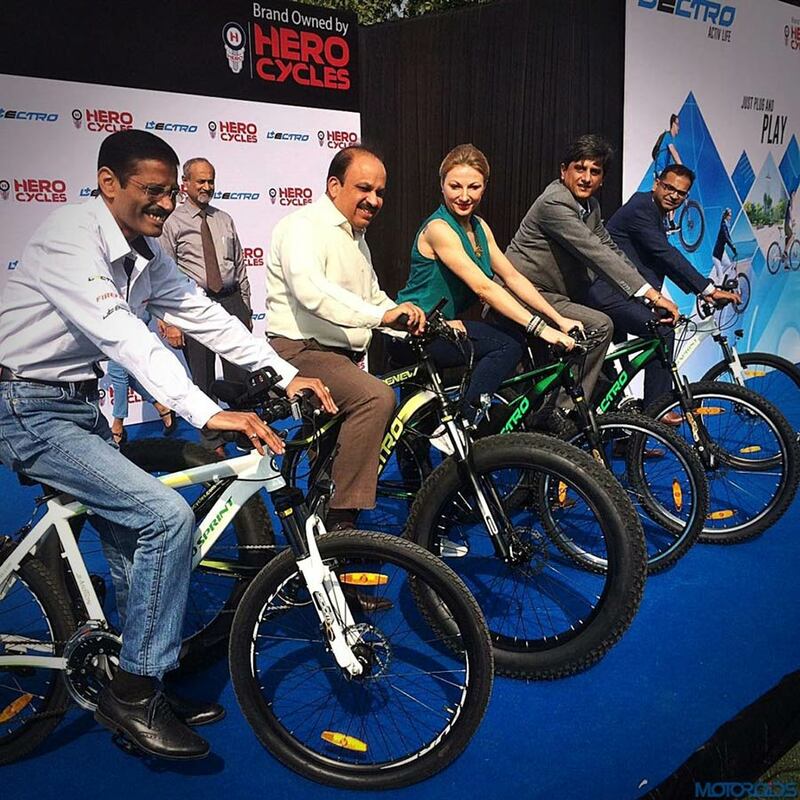 India’s largest bicycle manufacturer Hero Cycles today unveiled a new brand offering Lectro in EPAC’s segment (Electric Pedal assisted cycles) for the Indian market. Lectro, is the first in a series of Hero’s European brand launches in Indian market. With this new launch, Hero takes the lead to revolutionize the nascent EPAC (Electrical Pedal Assisted Cycles) category in India and marks a major step by Hero Cycles towards expanding its consumer base. The Brand, with 4 product offerings was launched in the national capital by Mr Pankaj Munjal, Chairman and Managing Director of Hero Cycles in the presence of leading Delhi-based multi-functional fitness trainer Vesna Jacob who spoke about the health benefits of cycling and EPAC’s in daily life, and the need for promoting cycles over automobiles in the pollution choked Indian capital. Hero owned Lectro was first launched in Birmingham earlier this year and was successfully showcased at the Eurobike 2016 held in Germany in September. This received a very encouraging response in the European market. Over the next few months, Hero Cycles will expand the offerings within Lectro from the current 4 products to as many as 20 in the EPAC category. said Mr Pankaj Munjal, Chairman and Managing Director of Hero Cycles. The launch comes at a time when health and environmental experts in India are discussing the need for a shift towards eco-friendly transport mechanisms as a measure to curb air pollution. Fitness trainer Vesna Jacob who promotes the concept of healthy living said cycling is one of the best exercises for good heart health, for controlling weight and for increasing the longevity and health of the bones. said Vesna, an Internationally acclaimed Pilates/ Multi functional fitness expert who has made India her home for the past 10 years.